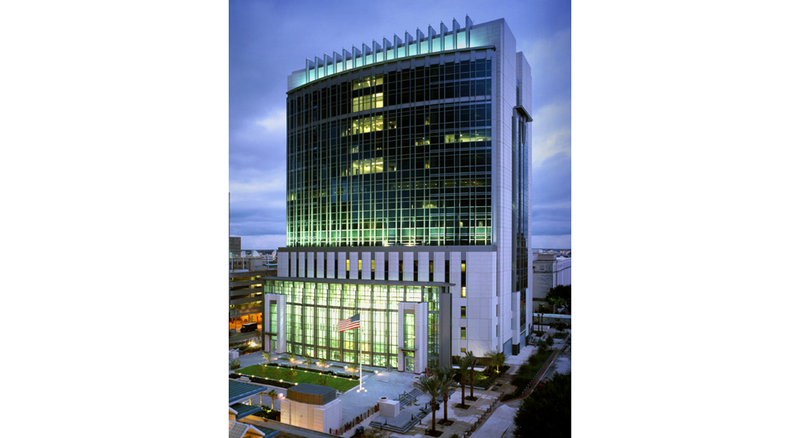 This 400,000 sf new facility is designed to accommodate all appropriate courts of the Jacksonville Division of the Middle District of Florida and their related agencies in a single facility. There are 14 occupied levels above a basement parking level including space for expected growth. Major tenants include the Courts of the United States Circuit, District, Magistrate, and Bankruptcy, Probation Office, Pretrial Services, U.S. Marshals, U.S. Attorneys, and Trustees. The courtroom arrangement is a “hybrid collegial” concept. Magistrate and Bankruptcy judge’s chambers are on the same level as their courtrooms, the traditional arrangement. 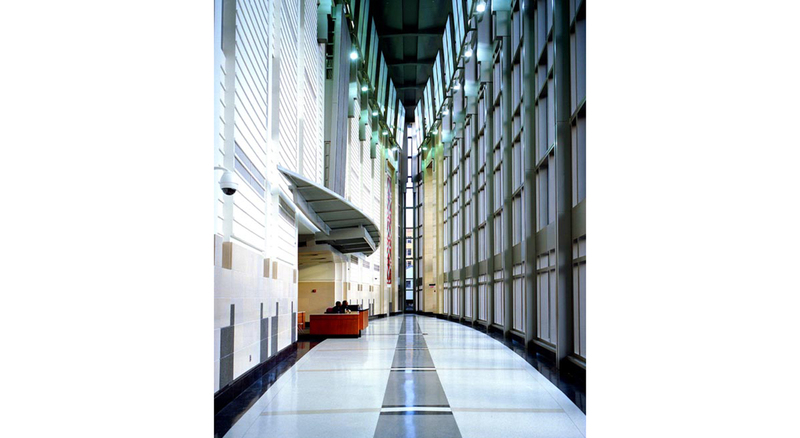 The District and Appeals judge’s chambers are “collegially” located together on levels directly above or below their respective courtrooms. The resulting plan allows four District courtrooms per level, an efficient management for public access. Placing the chambers on separate levels allows increased security and shared resources for the judges.